Our family has purchased 3 cars now from Danny at Recovery Auto. They have a pretty wide selection of cars, but all 3 of the cars we bought up to now are for our kids. We've purchased solid but inexpensive Japanese brands. A Nissan, a Toyota and an Infiniti. We also referred a friend who purchased a Nissan Xterra. I hate negotiating and Danny (the owner) and Sam have always been very straightforward with us. I've offered a fair price and there's been very little negotiating needed. And we've been very happy with all 3 cars and the price we paid. We will certainly buy from him again when we need a car, and freely recommend him to friends. A car that keeps giving!!! Hello. Sept 2016, My car is a 2009. New in Sept of that year. Now 90k on it and still as good as the day I drove it off the lot. It becomes part of you. No other car in my 50 years of driving had done that!! It is just a fun car to drive in the city or on a long road trip. LOVE LOVE LOVE MY SMART FOR TWO!!!! Hands down this car has been the smartest vehicle purchase I have ever made. I purchased the vehicle two months ago used with 70,000 miles on it. It needed just a little TLC when I first bought it, as it appears that some maintenance was due, or neglected by the previous owner. I had the 60,000 mile service done, as it is so important to have the valves adjusted on these little cars every 60,000 miles so as to prevent burnt valves and an expensive engine rebuild. It also needed several other maintenance items including a brake job, tire alignment, new belts, and a software update for the spring shift on the transmission due to a computer glitch that cause the transmission to occasionally not shift from park without a little finagling. Overall I am quite pleased. This ran car really great before, but once these issues were addressed, I have been given peace of mind and more confidence in my little car. It also did improve it's overall performance. I purchased the car for quite a good deal, and even with the additional money I invested in immediate maintenance needs, I still came out ahead overall, since other Smart Cars with the same mileage and year were running at a $1000 plus premium over the car I purchased. I even recently took it on a 1500 mile road trip over very mountainous terrain with a full load of cargo and my wife and I both in the car. It was like the little engine that could. It struggled a little on the hills but it managed to climb each one and return an average fuel economy of 43mpg doing it! It is easy to park, I get people stopping to stare and ask questions everywhere I go. It is small on the outside, but spacious on the inside. It is overall very comfortable to drive, even on long distances. It is a joy to drive in the city, which is where it feels most at home. The seats are firm and supportive. The interior feels like it is well built and made out of quality materials. Yes Mercedes did something right with this car. Safety, reliability, fun factor, and practicality. What more can you ask for. I am already planning an upgrade to another Smart Fortwo in a few years. They have a life time fan. Simply a blast to drive! I bought the 2009 smart passion coupe in September of this year. It drives great on the freeways here in Southern California, including the 10, 605, 57, 60, and 15. It handles great in all lanes and is no problem next to big rigs or in the wind. Also I have never replaced shocks on any car I have ever owned. I have always enjoyed the true feel of the road. This car fits that perfectly. I never drive it in automatic, only in manual mode. It's a heck of a lot of fun to drive, and seats are extremely comfortable. I recently took a bunch of stuff to a local thrift store. The guy unloading it was amazed at how much this little car would hold. I'm 6'5" and I've got plenty of head and leg space. I picked it up in Vegas in 2012 with only 6100mi. and went straight to the strip that evening with the top down and the Biggest Smile on my face! This Brabus stole the show from the worlds finest automobiles as everyone was looking and pointing! This car satisfies my desire for a car, a motorcycle, and a Go Cart...The transmission is "different" relax and let it do it's job while you do yours Smiling...Want to go faster then use the paddle shifter! And those who say AC is weak need Freon, it was 113 and I had to turn it down and windows are not tinted! After a year I still haven't hit 7,000mi yet...I love the car so much I can't bare to put miles on it...So I treat myself now and then BRABUS LONGTERM UPDATE: Well I gave up trying to keep the miles low cause I love to drive the car so much! I've had Absolutely ZERO Problems in the last 50,000mi, all I've done is Mobile One 15W50 every 10k, and a set of tires. My wife TO THIS DAY will not admit she likes driving it! But she's always behind the wheel for some reason??? She and my 82yr old Mom always come flying down the drive like they are in a Nascar race! And that works for me as it keeps the miles off, and holds the value of our ML350 Bluetec... Our favorite use for "Smarty" is driving the her into our 45' 5th Wheel Garage and using her like a golf cart when we arrive at the campgrounds! We're always the ONLY "Golf Cart" with AC, and the only one that can "Legally" leave the campgrounds and drive on the main roads! Will never sell or trade as the Current Smart is Larger and in my opinion not as cute... Lastly, I wouldn't like it nearly as much if it were not a convertible...There's nothing like crusing on a nice evening with the top down! I have owned many many vehicles in my 62 years and this is the first car ever that I have kept for over two years. I have enjoyed my smart for almost 4 years now. I have never had a problem with the car. When I bought it I had a Mercedes ML550 and a Toyota truck...I soon found that I didn't enjoy driving either one of those anymore (especially the "repair hungry" Mercedes) and I sold them....the smart has been my only vehicle since and the car has remained solid, reliable, economical and fun. Everyone wants to know about it and you can never get gas without ending up in a conversation about it. The outer finish never gets nicks or stone chips and looks as good as the day I bought it. Best car I have owned for commuting to work. Fun to drive like a go-cart. My wife loves to drive it on the weekend. Roomy with upright seating like a pickup. Flying rocks will not dent the car. 10,000 miles between oil changes. Gas mileage consistant 42 mpg in Minneapolis. Worst was 38 mpg in the deep slushy snow plus warming up in driveway. My commute is freeway at 80mph to downtown congestion at 60 miles per day. Easy to park and manuever. Some states allow straight into the curb (no parrallel) and sharing of parking spaces with a motorcycle or two smart cars. Plastic panels resist rust and you can change the car's color in about 4 hours. Very tough little car with good acceleration. I just got this car a few days ago & it was used, with 20,000 miles on it already.It still looks brand new though and works like a charm! I have heated seats with black leather interior and my smart car is yellow with black panels.I absolutely love it! I couldn't think of any other car to satisfy my every need on the road.I have yet to drive it on the highway, but i'm sure that day will come sometime soon! I recommend this car to EVERYONE.Unless driving small, cool, and fun just isn't your style.This car is for someone who isn't much of a business person.But It is overall and amazing car.I'm glad i purchased it. I own a red and black '09 Cabriolet with nearly 30,000 miles on the engine. Overall, I like the car very much. It is an honest car; honest in what it is designed to do and honest in its appeal to drivers who want sensible fun. Granted, it is not a fast car and I usually take my time to get up to highway speed. That being said, most of the lag is in the transmission so once in 5th gear the car easily dominates in traffic. The ride is stiff, not unlike a MINI Cooper and handling is crisp with perhaps a hint of its weight in the steering. The interior is brightly decorated but feels cheap for its price class. Even so, the car is very sturdy on the road, the important parts being solid as rocks. Purchased a leftover 2009 convertible with $2,500 incentive and free options. I've owned Mini Coopers, Miatas, and Honda CRXs, so I'm no stranger to small cars. I am SO pleasantly surprised with my Smart car! I was expecting a good car, and what I got is a GREAT car! The Smart is unique, fun-to-drive, and an overall joy. HIGHLY RECOMMENDED! I just bought a 4 month old 2009 with 1500 miles for a MB dealership that used it as a loaner car. After driving 5 hours back home I was impressed, this little guy keeps up with traffic just fine, cross winds at highway speeds (75 mph) are not fun, so slow down over bridges. I bought the car mainly for parking in NYC. I can fit it every where! My Smart doesn't have power steering, it's fine for me but you do have to put a bit of muscle into it when parking in a small spot, once the car is moving, there is no difference. It has 2K miles and there are already some rattles, not good! Only buy this car if you live in a congested area, or you only want 1 passenger! I love my Smart Passion. I traded my BMW 5 series in for a Smart car friends and family all called me crazy but I turned 18 and had to start paying for things on my own. This is my only car and I do a lot of driving City, Highway and suburbs daily. I love my Smart and love driving it. I do wish it did a little better on gas but compared to the BMW it rocks. Having a two seater really is not a big deal and there is plenty of storage space. The car handles great and parking is never a problem. I love all the looks and comments I get and I love the design of the car. Overall I would recommend it to any one! I bought this car because it was so fun to drive and makes me smile every time I get in it. I've found that shifting manually lends to a smoother ride than automatic mode. I've driven the car on highways at 70+ mph speeds with and without tractor trailers and the drafts following the tractor trailers does create an environment that pushes the little car around, but honestly, even my Murano gets pushed around when traveling behind tractor trailers at high speeds. A majority of the driving I intend to use this car for doesn't involve highways anyway so I feel very safe and comfortable. LOVE my Smart red convertible! I have owned CRX's, Miatas, Mini Coopers, and other comparable cars. They've all been great, but there's just something about the Smart! Let's face it, it's not a car for everyone - but if you do most of your driving by yourself (or with one other person), it's a complete joy to own! I chuckle when people ask me, "So, can you take it on the freeway?" To set the record straight, YES you can - and not only does it drive like any other car, it's a LOT more fun! I bought the Smart Car fortwo a year ago. I love it. Easy on gas and drives great. I wished I would have got AC added. Other than that, it's a great little car! I just purchased my Smart car yesterday, so far I love it. I traded in my 2004 Toyota Prius with 190,000 miles. I loved the 2010 Prius but could not see spending $32k for a new one. After looking around, the Smart car was my answer, similar mileage as my Prius. I have to get used to some changes like no integrated GPS or Bluetooth but there are other options for that. 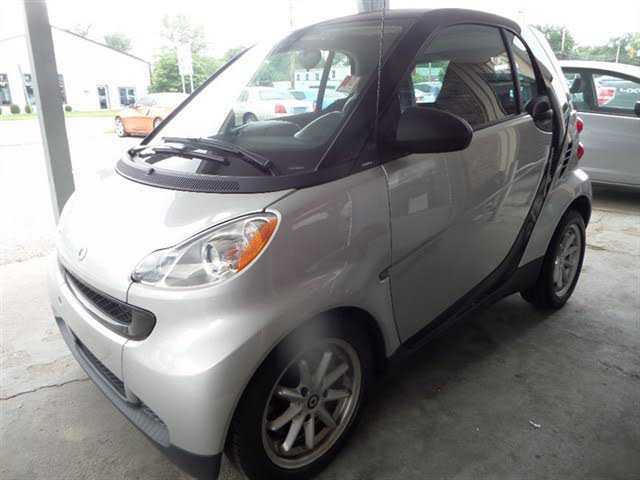 So far I am loving my Smart, tomorrow will be my first highway commute and I am looking forward to it. The dealer went over every page in manual and every detail with me. Disregard reviewer that says it doesn't come with a manual. Transmission is very fun, but like no other - if you try to drive this car like any other car you will either hate it or become frustrated - key is to understand this car is special, but it is very reliable!! I commute 45 miles each way to work, driving through the Angeles Forest Highway - a two lane highway that has many hills and curves. I average 37-38 MPG driving in automatic mode without using the paddles. What I LOVE most - how it waits patiently in the parking lot for me to take it home at the end of each day, makes me giggle every time! This car is solid, fun to drive and great in the snow - with engine over the driven wheels and traction control. It's so much fun to drive that I have sold my BMW motorcycle in favor of this car. My wife and I take the car everywhere and can ALWAYS find a parking spot that nobody else can get in! The transmission in full auto mode does take a little getting used to, but the paddle shifters are available to give you what you want when you want it if you don't like the auto shift program. I love it on the highway! But it is the most fun in a city. I regularly drive my smart fortwo on the NY thruway, and the garden state parkway, up to the Catskills from Philly. Yes, the handling takes a while to get used too. But for the 2010 review to state it gets tossed around on the highway is ridiculous. Perhaps people need to learn how to drive again? Steering a huge SUV is different than driving a smart. I prefer the smart. Where it excels is when I am in my row home in Philadelphia. I have never had to hunt for a parking spot, maneuverable in the city, and awesome handling makes it easy to get out of tight situations. I save $200 a month on parking. Get smart! Have owned this car for a little while now and I have to say I love it! I'm averaging 35 mpg using automatic mode and a/c in city traffic. 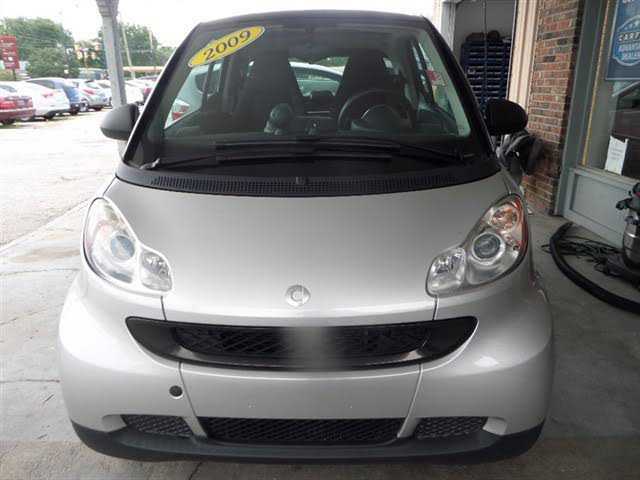 Insurance rates are low and the smart gets a lot of attention. The interior is very roomy and comfortable. Inside it feels like any other car. My last car was a Mazda Miata, so the interior is very comfortable and the ride is very quiet to me. The hatchback trunk is also really great! I too was initially afraid when I first purchased my smart, but this car really grows on you quickly. This is my first European car as I have only owned Japanese brands until now: Mazda, Toyota, and Honda. The Mercedes-Benz service at the dealer has been fantastic! The car has 5 star crash rating front sides and a 4 star for the rear. The car is great to drive it makes you fell that you are always in control. It handles like it's on rails. It's small size makes parking a dream. I can park vertically up to the curb in NYC and protrude no further into the street than a conventional car. The convertible top can be opened and closed at any speed. The fuel economy is incredible. 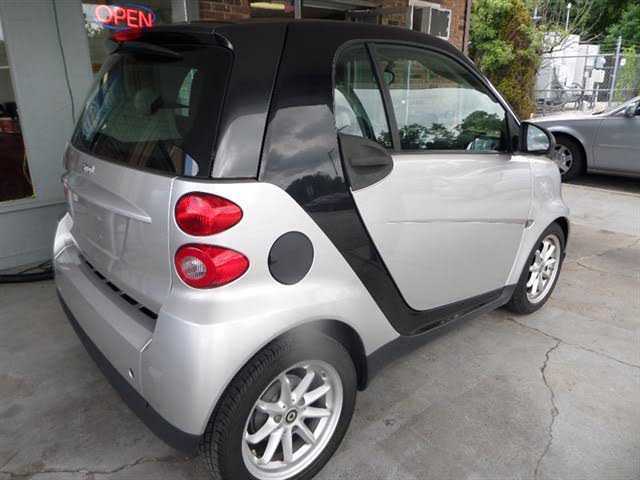 I bought this SmartCar on a whim. I've ALWAYS driven Volkswagens..from GLI VR6's to TDI's to Vanagons. I'd NEVER--read NEVER own a VW Again. the cars are ok but the repairs are pricey. I bought this SmartCar as a toy. It's turned into a great car. It will run 80 flat out, get 40mpg, park on the sidewalk and fits on my patio. I love it. Transmission is funky but gets the job done. I DRIVE BIG RIGS...I know size. This car is built. I feel safer in this car than my Freightliner. I'm buying a new one next year. LOVE IT. LOVE IT. After owning a mini-van for 18 years, I finally got to go small! I had my eye on a Smart for over a year and decided to finally go for it. I was a bit nervous at first, thinking I might miss the size of a van. After driving it the Smart for 2 day I am no longer worried! I have so much fun driving my Smart! The more I drive the more I love it. I find any excuse just to go out and drive. Made my first trip to Costco and managed to fit everything. (I still have 2 17 yr olds at home) Love all the attention I get. Trying to convince my husband to get one for his commute to work. 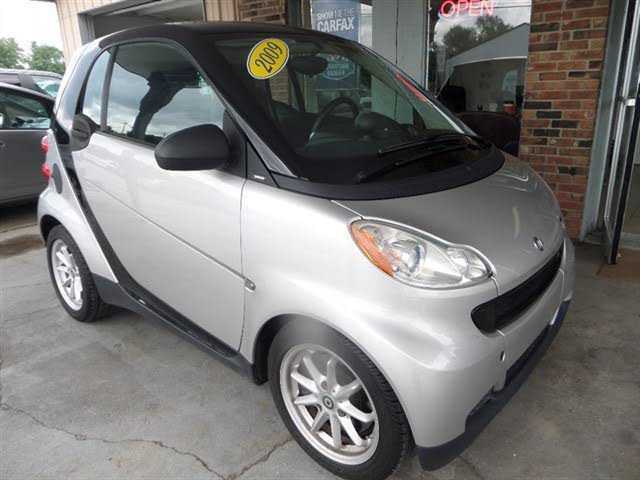 I have heard some complaints that the Smart is slow, or doesn't shift like an automatic. The purpose of the ForTwo and the same reason I bought it was economy, not speed. But it is NO slug! Wind it up and it will go great! 75mph on the freeway is comfortable. Every day I am more impressed with my Smart. Remember, the transmission is a manual that is automated. It shifts exactly how I would expect it to, not an automatic. It takes a little getting used to, but once you understand it, it's fun! I am impressed with the ride for a 1800lb car! I am also 6'1" and have plenty of room! I like the simplicity offering comfort in terms of reliability and longevity. I purchased as a commuter, perfect! We ordered one, got an "orphan" 2 days after they came out in Jan 2008. Loved it so much that we kept the one that we ordered also. Drove them both from TX to CA and had no problems with hills, dust storms, rain or gas. Could drive to one pump, fit and fill both with one bill! Can travel easily at 80-85 mph and have had it to 93. Can park anywhere. Problems with speed or hills are the driver-not the car. Great gas mileage, and great safety features. Also love the heated seats. Have taken it to Las Vegas, Los Angeles, and love it in traffic. It's a blast! Anaylze the situation: 3 cylinders, 5ft. x 8ft., 2 seats...O.K...now continue: This is the best thing since the telephone!!! The reviews that say no power, or no room, or whatever...GO buy a GAS burning, giant SUV and SHUT UP! This little cutie-pie is great for what you get! I have power steering, leather heated seats, remote keyless entry, alarm, etc. Some of the bigger/money cars don't come with that. Sold by Mercedes Benz, how civilized is that. I drive a Harley Road Glide, as well, and both are a blast! How dare those people to complain! The turning radius and parking ablity cannot be touched by GAS gusslers! Oh, and for the size, it is the safest by far!! The smart fortwo is the most unique car I've ever owned. It's not for everybody but I love mine. I couldn't wait to get one and enjoy every moment behind the wheel. Even just looking at it sitting in my driveway makes me smile. I didn't buy it for the fuel economy but I average 42mpg combined city/highway. I wish I had owned this car years ago, but being in the US I had to wait. I fell in love with it since I first saw it in Milano, Italy. I now own this car and I adore it. I originally bought a blue with silver tridian coupe back in July... had issues with water retention in rear hatch...was given a cabriolet smart loaner during repairs...fell in love with convertible...immediately upgraded to a red with a black tridian convertible because of 1.2% APR financing promotion, despite $3000 depreciation for trade-in . I have no regrets...LOVE the convertible. Read my other review for coupe, same applies to this car. Let me be the first to sing praises of the BRABUS model. As a fairly fickle person when it comes to cars, I never had purchased the same make/model of car twice (let alone in a row). It all started with a very early delivery of my 2008 SMART Passion which I enjoyed for 20K miles plus. While debating to extend the warranty or trade to a different vehicle, I decided to take a BRABUS for a spin. The bigger rims, heated leather seats, the well sculpted body and the better suspension made it an easy decision and now my Black BRABUS hatch looks gorgeous in my driveway and it gets a lot of looks. For those who doubt the BRABUS magic need to test drive this car. Its a truly a SMART for the guys. This car is really good to show off how big it is inside. People I know can't believe how big it is and feels when it drives. The only thing I would change or add is Cruise control. I had it added, that makes it complete for me. I have nothing but fun when I drive it. Most Fun on 4 Wheels! I traded a Civic SI for this (hit a deer) and am thrilled with the experience. No it doesn't have the power of the Si or the handling, but it's a ton more fun to drive! Puts a smile on my face everytime I walk up to it. Love opening the top as I approach the car...such a warm welcome! I had navigation and bluetooth installed, except for cruise this is really loaded. Great little run about, even took a refrigerator to work in the back, fit perfectly. It's bigger than you think! Drove to NYC from MD, no issues and 45 mpg in the first 2000 miles. Looking forward to getting over 50 soon! Love, love, love my car! I average about 38 mpg over my 30 mile round- trip commute, and I've gotten 47 on the highway. I feel very safe (drove 80 mph this weekend). I have the upgraded stereo and it is great for me. I drive to work with a smile on my face every day. Well, I have had many cars in my life and I can not think of any that is more fun to drive, including my wife's Z-4. It just cruises down the road at 70 to 80 with the big boys. My first tank of gas I averaged 37 MPG. Very high on the cute factor. Really fun to drive with the top down. More interior room is more than expected for such a small car. Premium radio, not so much. Ditto with the A/C. I don't expect a CVT shift with a AM transmission, but Smartie has been in twice to the dealer in three months for very erratic auto shift patterns. Paddle/manual shifting works well. Bought this car for my wife to drive locally, but I find myself driving it most, mostly because it's just FUN! For a great price, it's loaded with features found on higher-end autos such as rain-sensing wipers, heated leather seats, I take it on the highway as often as I drive locally, and it is surprisingly capable. Keeps up with traffic, responsive, good stability. I cruise at 75 mph and don't feel the speed at all. Seats are extremely comfortable. Driving locally, it is a bit sluggish to get going from a standstill, but once it's rolling it does OK. The shift changes in automatic mode are quite jerky. Manual mode allows for smoother shifting once you get the feel for it. Very good car. Can't get out of its own way ! Has no power. Has a hard time getting up a hill. If you live in an area with hills and mountains don't even think about this car . I thoroughly researched before purchase. Agonized between the Suzuki SX4, Toyota Prius & the smart. The smart won in the end because of its uniqueness, "star power," and somewhat because it is a Mercedes. I was concerned about it's performance in the snow but felt reassured by a few other smart owners that it is effective getting around even in a blizzard with a foot of snow. I'll need to wait until winter to test its ability to climb grades in the snow. I'm sure the SX4 would have excelled in the snow but according to consumer reports only avg. satisfaction was achieved by Suzuki owners, whereas smart owners overwhelmingly loved their smart as do I. The Prius is just too expensive. Wanted one as soon as they hit the US market. This car is the bomb. Shifting a little strange at first, but after a couple says you get in "sync" the car. Nimble, quick as it needs to be, great at highway speeds. Excellent car. Impressive engineering, e. G., abs, electronic stability control, corner braking control, tridion safety cell, etc. Outstanding ergonomics, e. G., comfortable seats w/adjustments, excellent visibility, very fun to drive. Handles very well, and power is sufficient to easily keep up with highway traffic. A manual transmission w/o a clutch, the smart shifts best when you do it yourself, either with paddle shifters or the floor mounted shift lever. In d, the shift points seek the most economical shift point v. More torque, etc. Thus, the engine can lug, e. G., too low rpm. Amazing amount of passenger room, and cargo room in the rear is fine. This is not a sports sedan. It is a small, efficient urban two passenger transport that has a small footprint but a spacious interior. Being a Daimler product it has the safety and quality expected. Having a small Mitsubishi engine, it is no surprise the performance and reliability it has. Being a European design, it has character and head turning style. Over all this little car has fulfilled and surpassed every design objective and it is fun to drive around town. 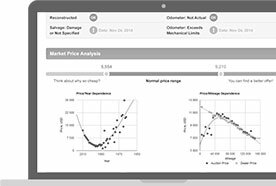 It is priced well for the market. I have driven the car 80 miles each day and I love it. I drive in auto mode most days and average 39 MPG. I have driven it almost 5000 miles in 2- 1/2 months. There have been no problems or glitches at all. I am a big guy and I have plenty of interior room. I love the auto wipers and the safety in such a small car. Cold air and good heater. Great car. I had to laugh at the disparity between expert reviews and consumer reviews. Also at the comment "unsuitable for highway use." Ask the semi drivers on IH-20 how "unsuitable" it is. As they pass, they check their rear view mirror to see how their vortex has affected the smart. They have to be amazed by the stability. Drivers are also surprised that the smart can be issued a ticket for speeding. lol Is the smart easy to drive? Not at first, but with practice it becomes an extension of the driver, and is a pure joy. Jaws gape at the tight u-turns and how easy it is to park in lot spaces approached from the wrong direction. As the reviews show, beauty is in the eye of the beholder. Month and 7k miles, I love this car, it is my favorite. The car is easy to maneuver, great to park. I like driving it in manual mode, where I can control the shifting and make it smoother. It is good on auto but I prefer the manual specially since there is no clutch. The transmission does adapt to your driving style, specially during the break in period. It drives like a jeep (hard and stiff) and is slow to accelerate. The brake pedal is uncomfortable. I use it to go to work where parking is an issue. This is the only reason I bought the car. In this respect it's great. I now compete with motorcycles. But in all other respects it is disappointing. Transmission is slow to shift, a/c not cold enough. Would I buy it again? Yes. Because of the parking issue I have no choice. If I didn't have to go to work and park I would not buy this car. 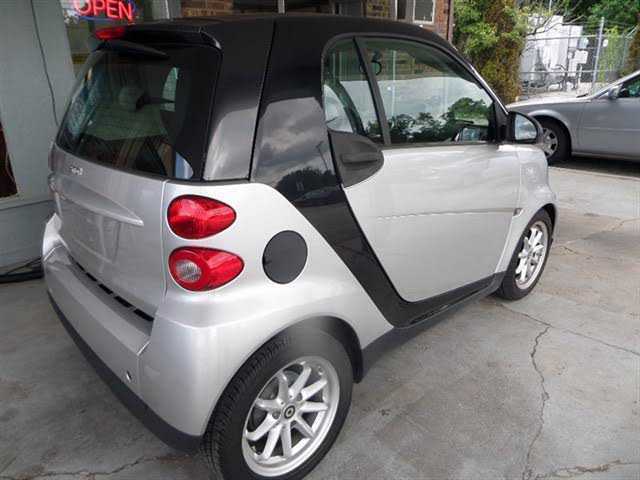 I recently bought my Smart car from a dealer instead of ordering online. I really enjoy it. This car is fun and versatile to drive. You can drive it in the automated (transmission) or the manual mode. It drives much better in the manual mode and you have more control over the acceleration level and shifting into gears. You cant compare this car to a traditional sedan, which is what many reviewers try to do. This car is in a league by itself. There is plenty of room for 2 average size people and it makes getting around and parking in an urban area much easier than any other car. Everyone things it cute but its boring to drive. The car is so small on the outside yet roomy on the inside. Took delivery and drove 120 miles that day on US 101. The car handles very well at freeway speeds with minimal wind buffeting despite weighing 1800lbs. I have 160miles on it and have used about 4 gallons. Storage room is ample, but I would recommend the optional luggage area divider to keep items from coming forward during braking. Shifting is sluggish for an automatic but if you think of it as a manual without a clutch it seems fine. After driving a V8 Mustang for years the car accerlates slowly but it keeps up with freeway traffic without difficulty. Other reviews said the car was noisy, but I didn't notice any excess noise. 81 yr. old Driver LOVES it!! My 81 yr. old Mom & I bought this used with only 50 miles, so it was basically new. Original owner lived in the city & bought it for his 17 yr. old. After only a few weeks, she didn't feel safe driving it. We feel very safe. We live in a Rural area, & have driven on the Interstates. We LOVE it! As others have said, get use to having people wait outside in the parking lot to see who's driving it & asking questions. The first time driving, Mom got 2 thumbs up from guys working on the road. The automanual shifting is indeed there with the jerking motion, but after driving for awhile now, we hardly notice it anymore. Can't wait to put the top down. Love the heated seats. This car is amazing, it is fun to drive. I feel very safe when I am in this car, also the acceleration is better than you think. The quality for a car of this price is EXCELLENT, it feels rock solid and has go-kart-like steering. I can do 60mph and turn hard, feels like BMW designed the steering. This car is put together well for it's price it does not feel cheap at all. It does not roll or tilt when driven hard, makes me feel good and excited to drive this baby!!! The is the first car I've ever truly loved. I had six requirements in buying a car, all of which were satisfied by this car: 1)buy new at less than 12 K, 2)increase in value rather than depreciate, 3)five star safety rating (and I saw the video of them smashing a smartcar into a brick wall at 70mph with virtually no damage to passenger compartment, 4)plenty of room on inside, especially head toom, 5) lots of pep, 6)good in snow, 7) good at high speed, 8)incredibly fun to drive. 9) I have averageed 41 mpg since purchase. Now, why can't we build a car like this in the U.S. so I can buy American? Just picked up my Cabriolet, after waiting a year. I love my new car, it is definitely a head turner, I have named her LadyBug, she is red with the black tridion. It is very comfortable and roomy in the inside, it keeps up with traffic on the highway, 65-70 feels pretty safe. I have not driven her in the snow yet, this will take some getting used to. Although I use the automatic driving option, you can feel the shifting, almost like a racing car. Can't wait for the good weather, so that her top can come off. It is about time the USA received the smart. Here are some things you should know though-the ride is bouncy at times and firm, the fuel economy isn't as good as you think, in most places you cant park it nose-in into spaces,& the acceleration isnt good. But there are alot of positives- driving it is as fun as driving a gokart, it is spacious on the inside, it feels fine at 70mph on the freeway,& the you feel that the whole world is looking at you. Everywhere I go, I get asked questions like "Is it safe? ", or "Is that streetlegal?" but you get used to the attention. It is an eyecatcher and welcomed in the city, in the country, and it feels right everywhere. We had to wait a very long year after placing our reservation for our smart - her name is Daphne. The only way you know you're driving a tiny car is when you get ready to park it. It has wonderful pep; great head-turning quotient - makes everybody smile; and is such fun to drive. We got caught in a heavy snow squall about a week ago and in no time we were driving in a couple of inches of snow (no snow tires) on curvy, hilly country roads. The car performed beautifully. We have ordered the aftermarket exhaust system and are considering replacing the red body panels with yellow ones. Guess we could sell the red ones on eBay.